First grade is an exciting stage for children as they develop critical skills, practice creativity, and master academic basics. If you have a first grader in Pembroke Pines , then one of the subjects that he will explore this year is social studies. Read on to learn a bit about what your first grader might experience in his social studies curriculum. Children in first grade are beginning to exhibit greater independence and take on more responsibility when it comes to caring for themselves and finding things or places. Also, their social studies curriculum can cause them to place more importance on understanding and following classroom rules as they begin to view their classroom as a small society where individuals have their own rights and opinions. In first grade, kids are introduced to concepts of economy, such as goods and services, buying and selling, and consumers and producers, so do not be surprised if your student sets up a lemonade stand in your living room or attempts to barter for something he wants. In first grade, your student will also study modes of transportation and how they are used. You can expect to see maps and globes when you enter a first grade classroom. Children at this grade level are introduced to things such as the different continents of the world, maps and how to interpret them, and cardinal directions. 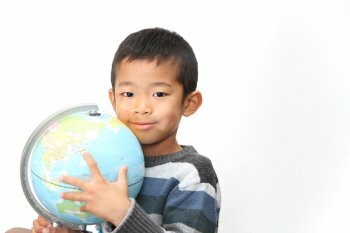 At this stage in their development, children understand the concepts of past, present, and future, and as part of their social studies curriculum, first graders explore topics like important events in United States history, symbols and their meanings, national holidays, and other cultures and time periods. These areas of learning may prompt your first grader to compare your family to others and point out examples of diversity in your community as he begins to spot differences in people and groups.